On World Hearing Day, Hidden Hearing hopes to encourage more people to be mindful of their hearing health. Based on statistical projections, the World Health Organization(WHO) has revealed that the prevalence of hearing loss is set to increase globally, and this World Hearing Day discusses how preventative measures could help curb the rise. With over 5% of the global population already affected by disabling hearing loss[i], now is the time to raise awareness and address why people are not recognising the signs when they are affected. The main causes of hearing loss include; genetic causes, complications at birth, certain infectious diseases, chronic ear infections, the use of particular drugs, exposure to excessive noise, and ageing. Although not all hearing loss can be prevented, there are certainly actions we can take in our daily life to take better care of our ears, such as wearing ear defenders when working with loud machinery. More importantly, we can pay more attention to our hearing ability and be more willing to seek advice from an expert if we have any concerns. Hearing loss can be a slow process, so it can be difficult to read the signs of deterioration, and in many cases, is easily ignored. In comparison to loss of sight, hearing loss is not always recognisable, which is why having an eye test is standard practice for maintaining eye health, whereas a hearing test can sometimes be dismissed or a last resort. Hearing loss has a number of side-effects. Untreated, hearing loss can cause people to withdraw from socialising and lead to feelings of isolation and depression. There have also been several studies which conclude that hearing loss contributes to the early onset of dementia, including the recent study authored by the Lancet commissions on Dementia Prevention, Intervention, and Care[ii]. Addressing hearing loss is key to remaining cognitive and socially active. Approximately one third of people over 65 years of age are affected by disabling hearing loss[iii] and are potentially at risk of affecting their overall health if untreated. With the number of people aged 65 and above predicted to have doubled in 2050 compared to today[iv], age-related hearing loss is almost certainly a contributing factor to the increasing prevalence of hearing loss. Hearing aids can compensate for hearing loss and make a significant difference to the lives of almost everyone with a hearing disability. The first step is getting a hearing test. Most people will visit their GP before a hearing aid provider and will be referred, while others are encouraged to see a hearing expert by concerned and caring relatives. “We want people to understand the role of the hearing aid audiologist and be confident in visiting clinics and asking for advice. 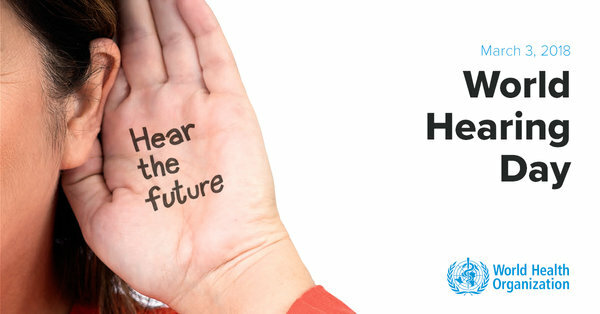 By bringing attention to the many facets of hearing loss through initiatives such as World Hearing Day, we will hopefully help encourage the increasing number of people affected by hearing loss to seek the very best hearing care,” Max Fletcher, Hearing Aid Audiologist concludes. Hidden Hearing is Ireland’s leading private provider of hearing care solutions, and our national network includes 14 branches and clinics. We provide free hearing tests, and we advise you to seek help as soon as you notice any hearing difficulties, as untreated hearing loss can lead to many further complications. We have a great range of hearing aids, including new digital devices that are tiny, discreet and highly sensitive, and our experienced team of audiologists will help you to find the best solution for your lifestyle. Contact Hidden Hearing online today, or pop into your local branch.